Motion Products | MM-4M Series Motorized MicroMini Stages| National Aperture inc. Choose from 3 gearhead ratios. Available X, XY, XZ and XYZ axis with 2 travel ranges to choose from. Choose from 3 gearhead ratios. (Dual cartridge available). Available X, XY, XZ and XYZ axis with 4 travel ranges to choose from. 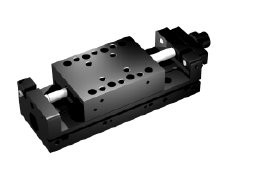 MicroMini™ Stages for Heavier Loads: The MM-4M Series offers load capacities of 3.0 kg direct top load with linear travel of 25 and 50 mm for the Folded Motorized -F models and 48, 78, 108 and 138 mm for the Extended Motorized -EX models. 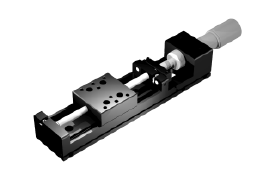 Both offer repeatability of 1 µm, accuracy of 2 µm/25.4 mm and slider backlash of 1 µm.